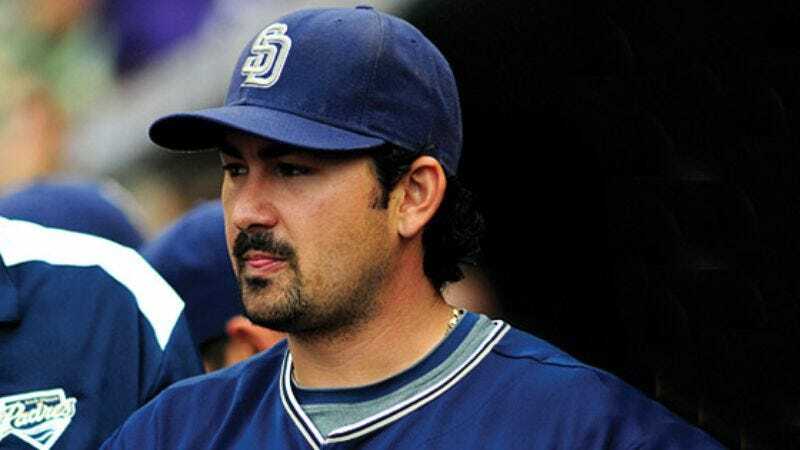 SAN DIEGO—While relaxing at well-known San Diego sports pub the Tilted Kilt, grinning Padres slugger and current home run leader Adrian Gonzalez awaited your response Monday after asking if you knew who the current home run leader is. "I'll give you a hint," said Gonzalez, who proceeded to turn around and point his thumbs at the name on the back of the jersey he wore to the bar. "Nothing? He's got 22 home runs. Still no? Come on, you know him. He looks like me, acts like me, talks like me. Last name rhymes with Zongalez. I bet you're pretty excited that he's talking to you right now." Your guess of Ryan Howard was wrong.